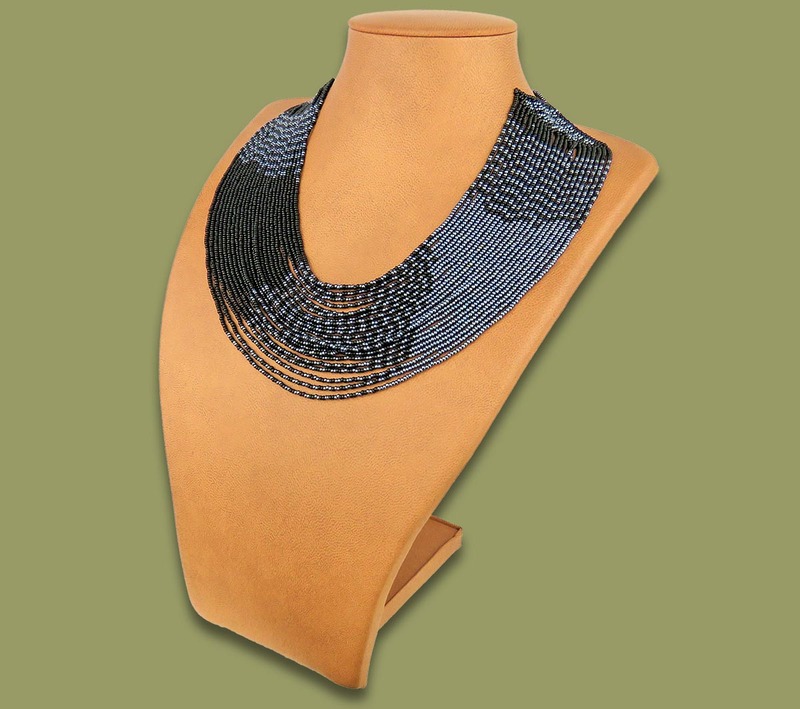 African Beaded Sibaya Necklace - Metallic Black. Wide multi-stranded necklace with bobble and loop close. Hand made by highly skilled African Beadwork ladies from Kwa Zulu Natal, South Africa. Wide range of colors available.